So on December 8, Miss Lovie turns 1 year old. How CRAZY is that?! 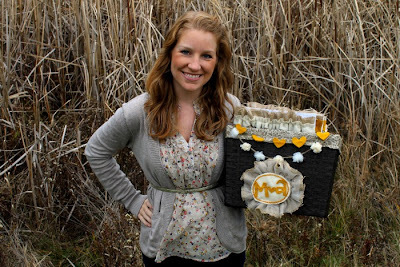 This has been one wonderful year of crafting craziness. This blog has been the driving force that has pushed me to go beyond what I thought I could do - in creating and in blogging. I have met so many wonderful people (you!) and I have learned so many new things. And I've loved it all. Thank you for letting me share my crafting life with you. Thank you for reading, thank you for all your kind and loving comments and emails and thank you for your continued support and love in the future!! 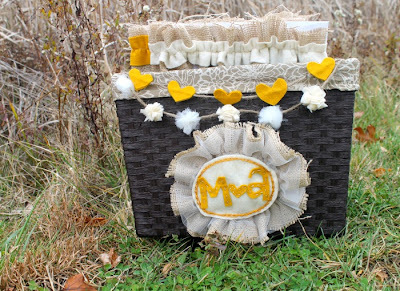 Since it is Miss Lovie's birthday/anniversary and all, and since I want to thank you for encouraging me and my crafty obsession over the past year by reading Miss Lovie, we need to have a party. So, get ready for a full week of fabulous guests posts and giveaways December 4-11! 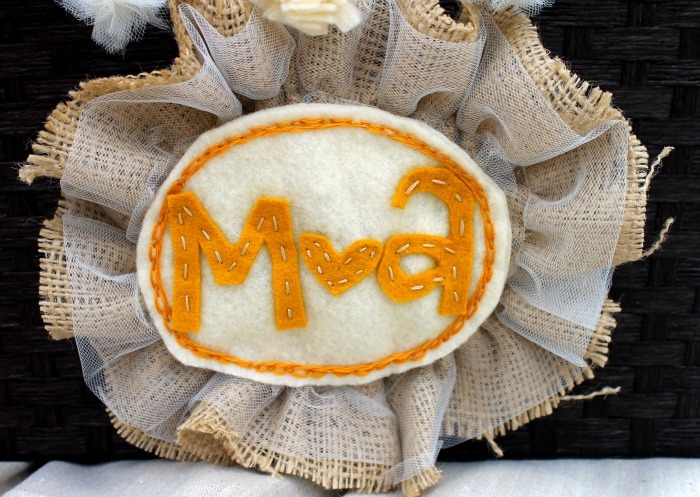 All the lovely ladies posting for Miss Lovie's First Anniversary Event write fantastic blogs that have inspired me so I am honored to have them be a part of my celebration. I know you'll enjoy their posts! The giveaways are yet another way to say thank you to you! And, of course since the Miss Lovie anniversary falls in December this will most definitely be a Christmas party!!! I don't think you can ever get enough Christmas craft inspiration. Mark your calendars. 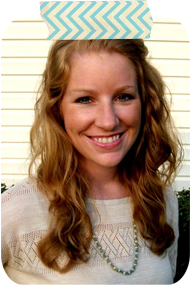 Dec 4-11 for lots of great guest posts and giveaways! Please use this button if you want to help spread the word!! I still have a few spots available for giveaways so if you have a small business you think Miss Lovie readers would be interested in, feel free to email me! I originally saw this idea here via Pinterest. 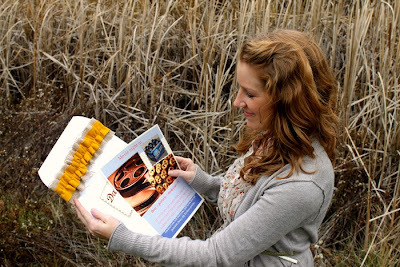 This blogger, Shannon, planned and paid for dates in advance so she and her husband wouldn't waste time wondering what to do for their date night. They just picked an envelope and went! 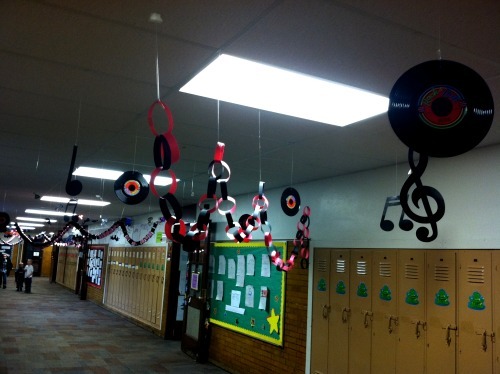 I loved this idea. After Matt went crazy and bought us an awesome new couch for our anniversary, I knew I had to do something special for him, too. 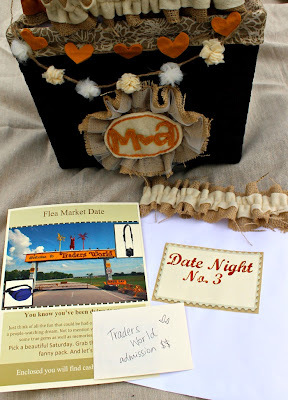 So I made us a Date Night Basket! In the original post, Shannon actually made one date for each month and labeled them accordingly, but I wanted ours to be more flexible, so I just labeled them 1, 2, 3, etc. and I only did 8 because I was pressed for time/that was all I could think of for the moment. And I, of course had to embellish the basket and envelopes a little with ruffles, hearts, garland, and embroidery. 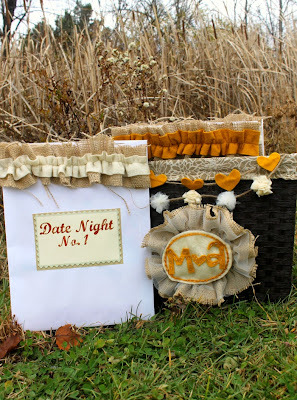 Each envelope had a double felt and burlap ruffle. Then inside each date envelope, there is an info sheet describing the date along with gift cards, cash, and anything else we would need to go on the date described. Here's Date #7, I believe. 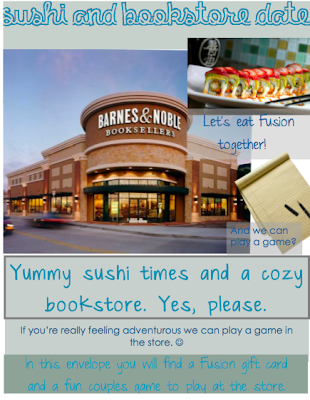 I used the photo flyer template in Microsoft Word 2010 to create all the info sheets inside each envelope. Each one had different color schemes, descriptions, and pictures to match the date. 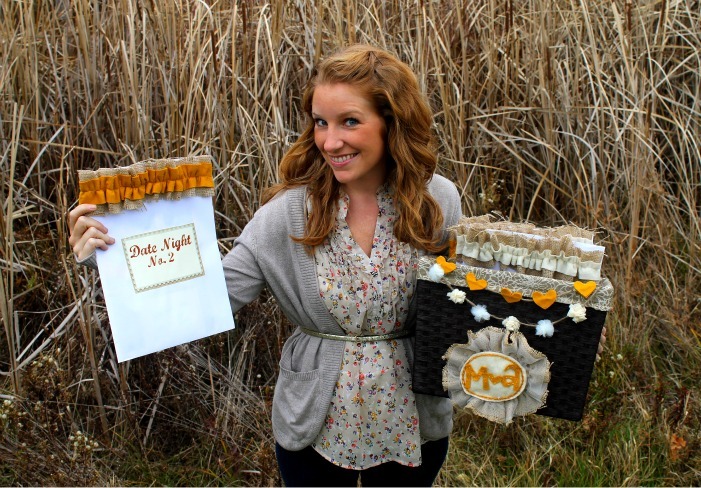 Want to make your own Date Night Basket?? 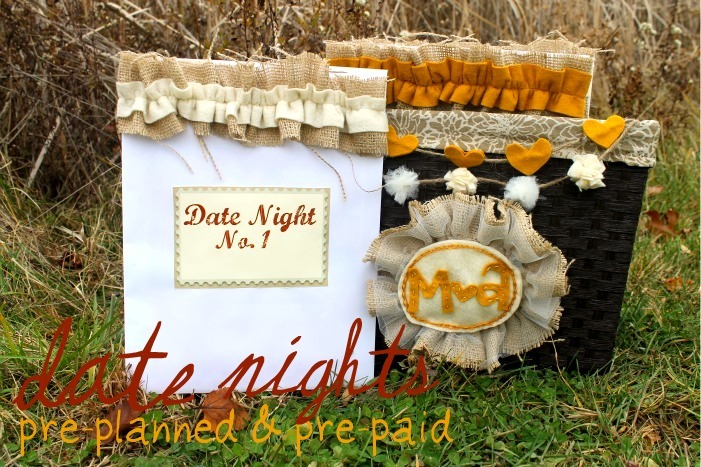 If you decide to make your own Date Night Basket, remember: the dates don't have to be elaborate and can even be free! One of mine was Late Night Coffee/Catch up on DVR Date and I threw in some fun coffee flavors. 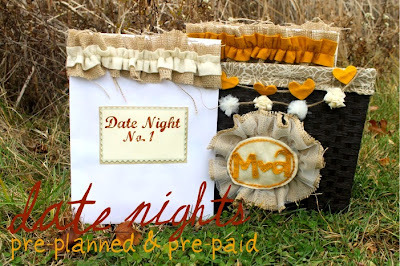 I found lots of date night ideas here (site found via pinterest again. 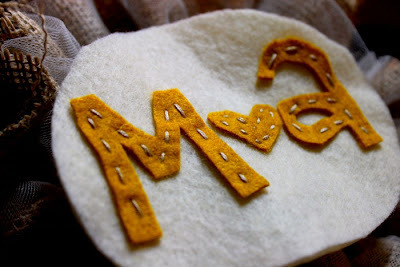 My favorite thing to do on there is type in what I want to the Pinterest search and I find the coolest stuff!). 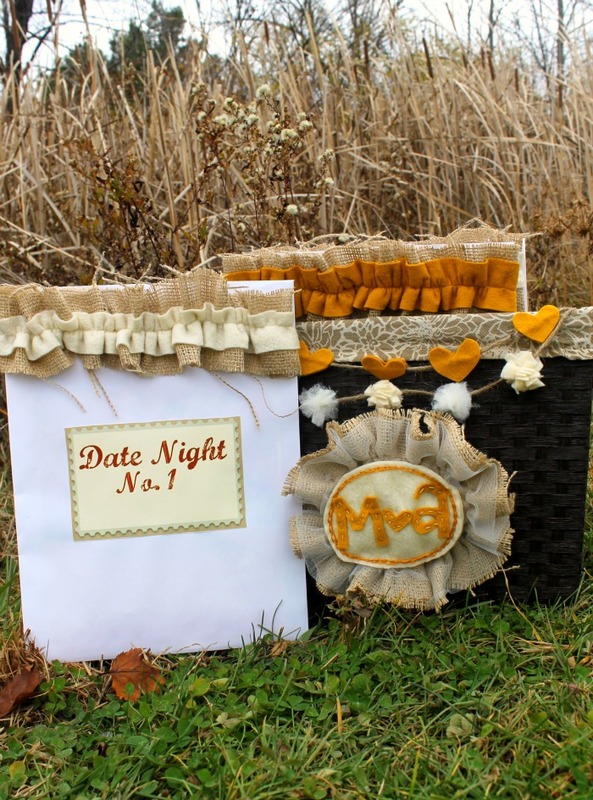 Some of her ideas are a little too much for Matt and me, but I did use her book store date idea for Date #7 above (it even has free printables that go with it). On the date nights I planned for us to actually leave the house, I had a gift card or cash ready for however much we would be expecting to spend there. I tried to pick things that we either haven't done or don't do that often. 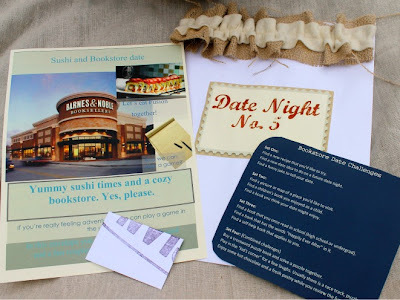 Once your dates are planned, and materials are gathered, create your word docs for your info pages and print them on a color copier. I took mine to a Fed Ex Express and had them printed. Don't forget to print your labels, too, for the outsides of the envelopes. 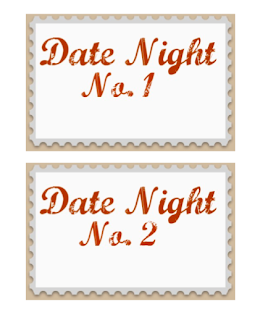 You can download your own Date Night Labels here. Cut and Mod Podge your labels onto the center of each envelope. 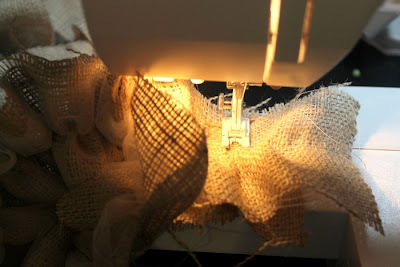 Then create a ruffle for each envelope (cut two fabric strips, both should be as long as double the width of your envelope, one thinner than the other and ruffle them at the same time) and glue on. 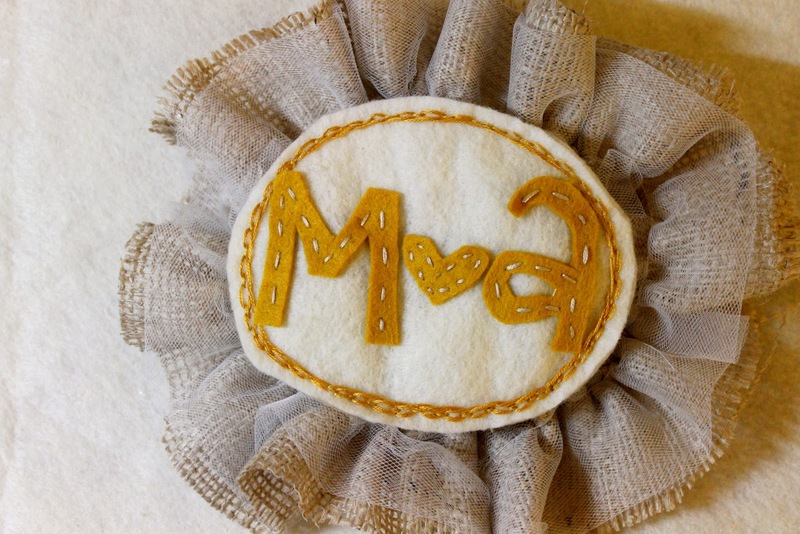 For a more detailed post on how to make double ruffles and glue them on, see this post. 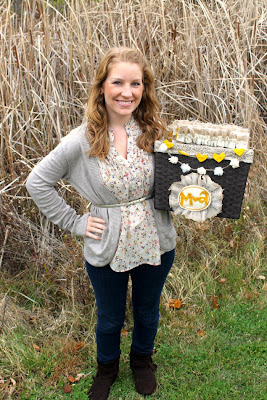 There will be a post later about the heart and pom garland seen on this basket. 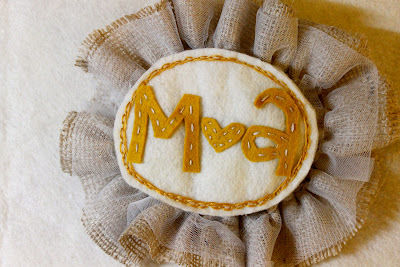 For now let's make the fabric label for the basket. 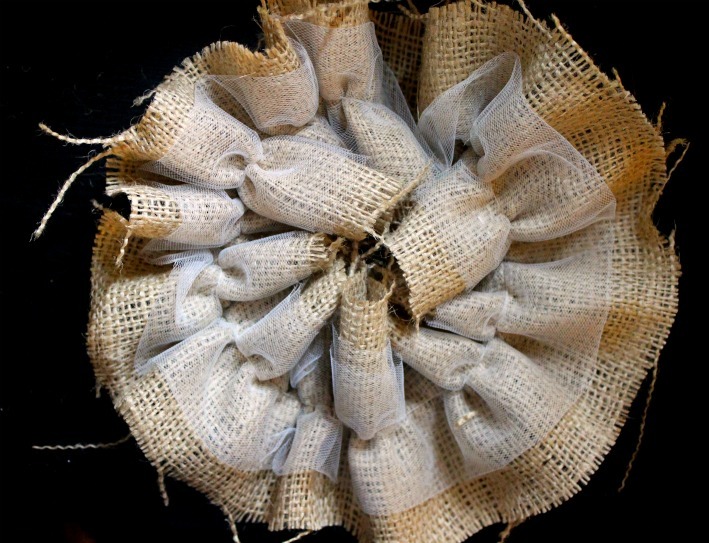 Form the ruffle into a circle so that the center of the circle is all touching. Sew right sides together and set aside. For the oval in the center, cut two ovals of felt and cut out your message for the center in a contrasting color of felt. 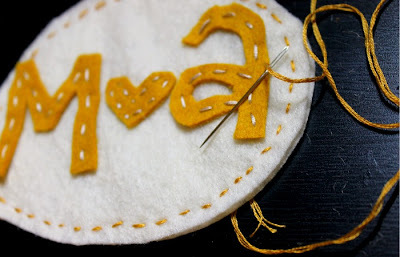 To stitch the message on, I used an embroidery running stitch with 2 strands of embroidery floss. Once the message is stitched on, stack the ovals on top of one another, wrong sides together and do another running stitch around the outside border. If you want, you can stop here. I wanted my border to be a little more fun so I added in a looped running stitch. 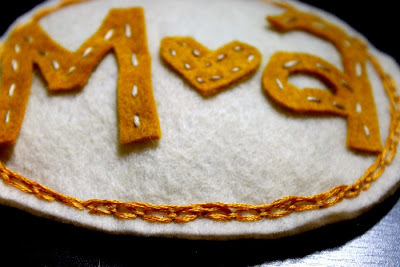 The tutorial for this says to use contrasting thread for the looped thread, but I stuck with the gold. 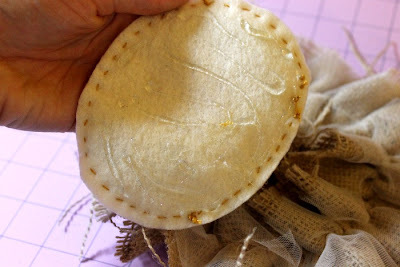 Once all your stitching is complete, hot glue the oval to the center of the ruffle circle. 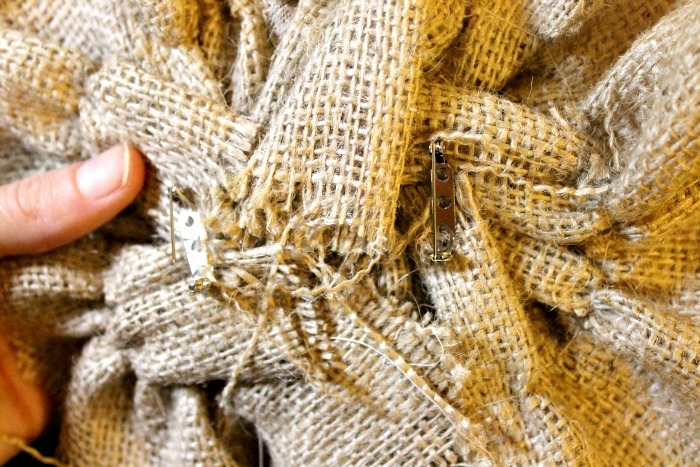 Trim any fabric that sticks out too far and you're done! I hot glued two pin backs onto the wrong side of the fabric label in the places I knew they would need to go in order for the label to be centered an in the right place. 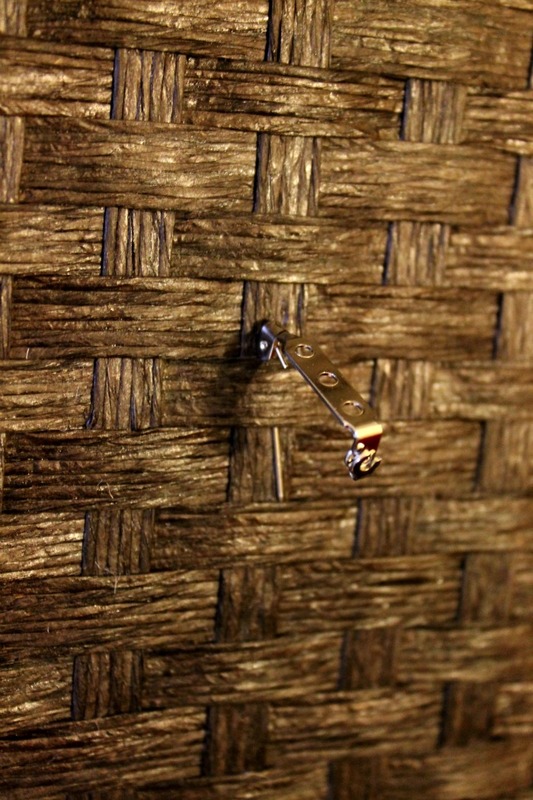 Hang it on the basket (don't worry about clasping the pins- they'll stay) and you're done! If you make little garlands like I did, you can pin them to the fabric lining of the basket just inside the rim of the basket in the front. By doing it this way, you can detach it anytime you want to use the basket for something else. Give it to your love and watch him be super surprised. 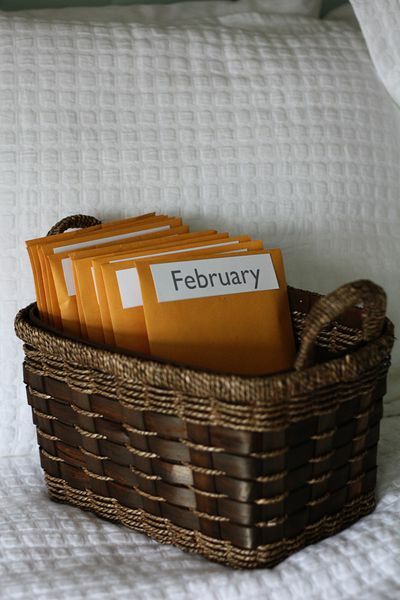 I love this idea, too, because once the dates are all done, you can always fill the envelopes again! And even though I made this for my love for our Anniversary, how much fun would this be as a Christmas present?! Or birthday?! I hope you enjoyed the tutorial! Thanks for reading! 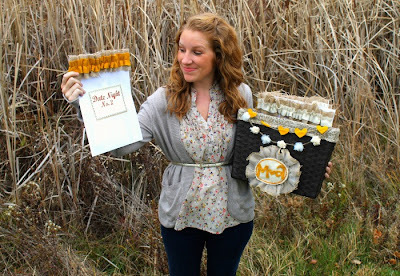 Linking to the parties (including here and here and here) on my sidebar! For those of you who may be new to Miss Lovie, you should know that I teach Kindergarten and LOVE planning fun days for the kids. 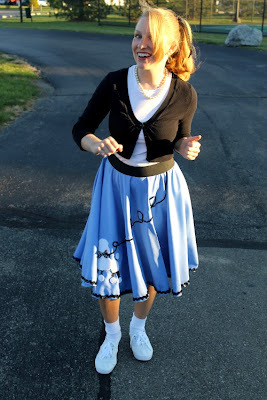 So last Friday was the 50th day of school and we celebrated by having a 50's Day. Kids and teachers were invite to dress up. 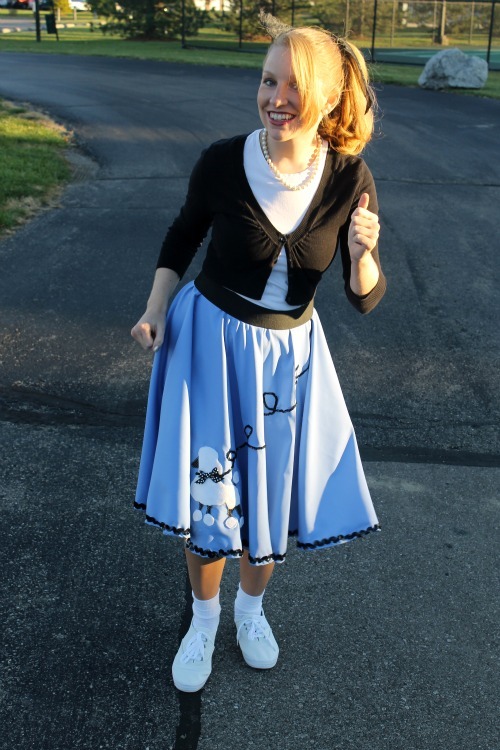 Of course, I was pumped about it because it meant I got to sew a poodle skirt. YES! Here I am, ready for the "Hop"! I know you like those shoes, too, right?! 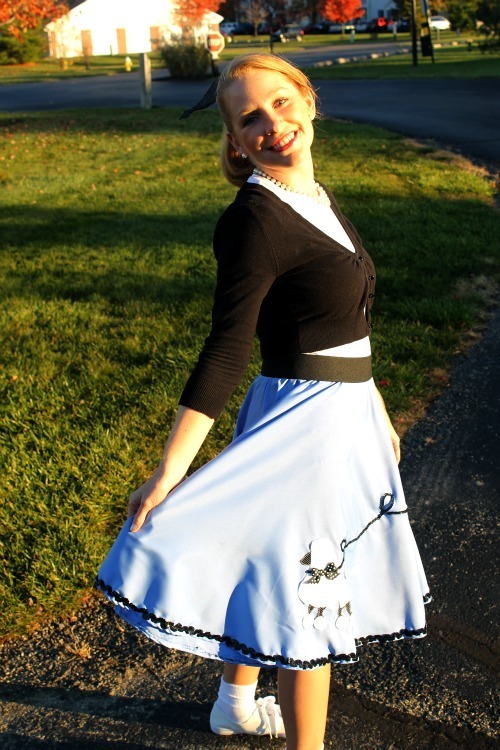 I used a suiting type fabric that was much more lightweight than the felt you usually see on poodle skirts and it laid very nicely. I used black zig zag sequin trim (which I also used on this table runner) for the bottom of the skirt. LOVE. We went all out at school. 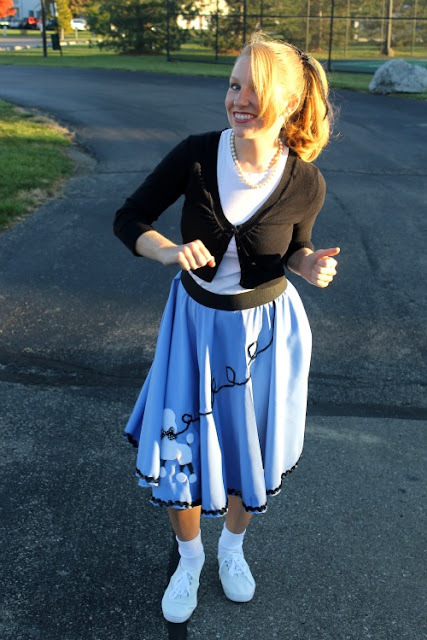 With all the outfits, decorations, making and drinking root beer floats, learning the Hand Jive and The Twist, comparing the 50's lifestyles to today's, and of course lots of counting activities to 50, it was a super fun day. We made paper chains (the kids made them themselves!) and they had to create their own pattern since we were learning about patterns at the time in math. 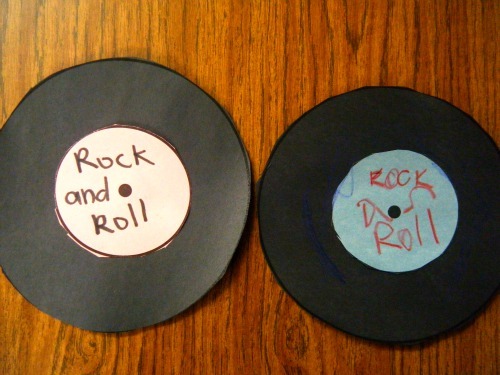 We made Rock and Roll records. And we even had a teacher on roller skates during the Sock Hop! 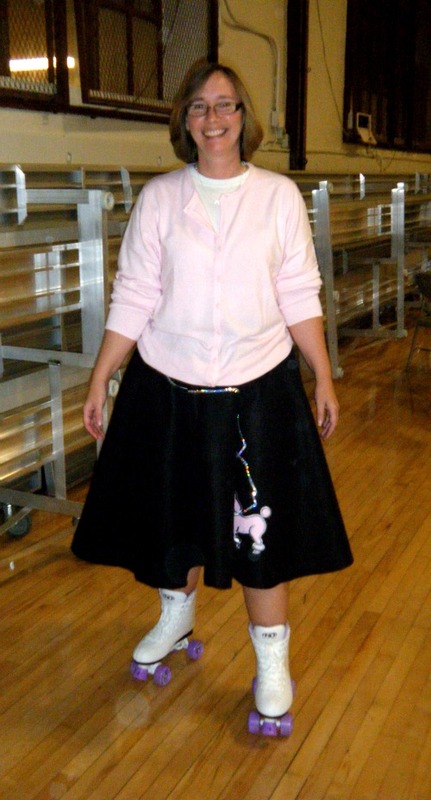 I have some fabulous pictures of the kids boogying at the Sock Hop, but I'm not permitted to show them! Just imagine almost 250+ kids in the gym doing the Hand Jive. haha! 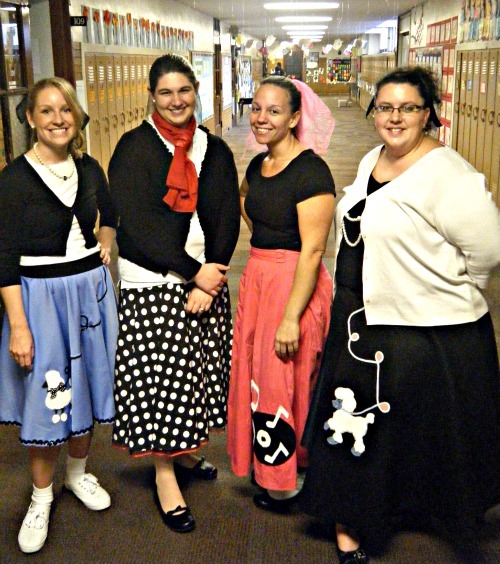 Here's my kindergarten team all dressed up. Love them. 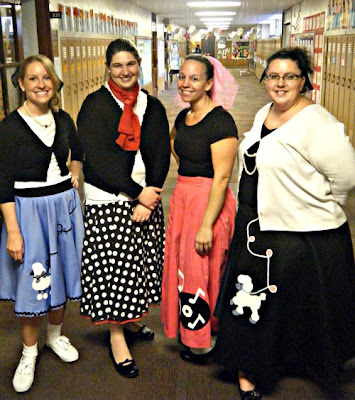 If you're a teacher and want to do a 50's day, we got a lot of ideas from here, here, and here. 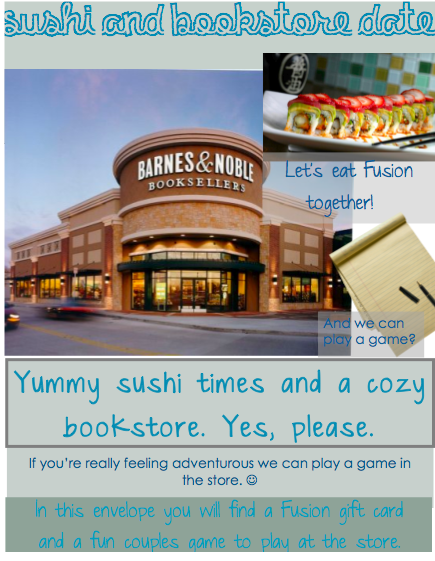 Some of those links include some great printables we used!! Or you could follow me on pinterest and I have some ideas under my "School" Board. 1/4 yd. (or less) of contrasting cotton fabric. 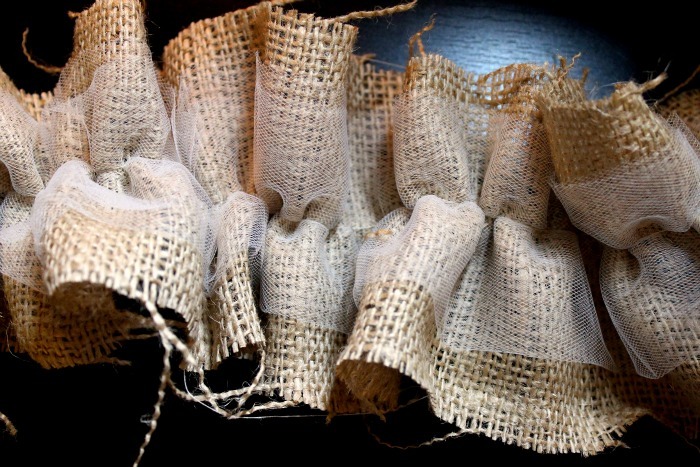 Elastic for the waistband (3-4 inches wide), enough to go around your natural waist plus 2 inches. 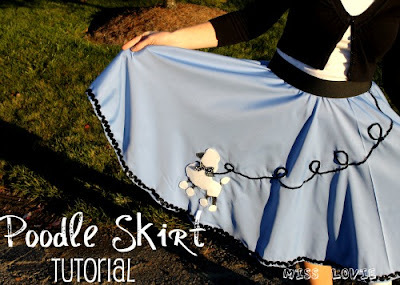 There are a lot of poodle skirt tutorials out there that look more complicated than necessary. As soon as I realized I got to make a poodle skirt, the perfect tutorial popped into mind. 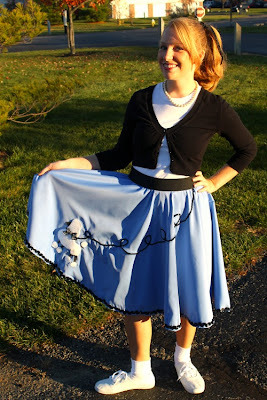 I just knew Dana from Made's Circle Skirt Tutorial would be the perfect fit for this project. I was excited, too, because I've been dying to try that tutorial anyway! It definitely was a great fit. Making the skirt part was SO easy. Thanks Dana for such a great tutorial!! 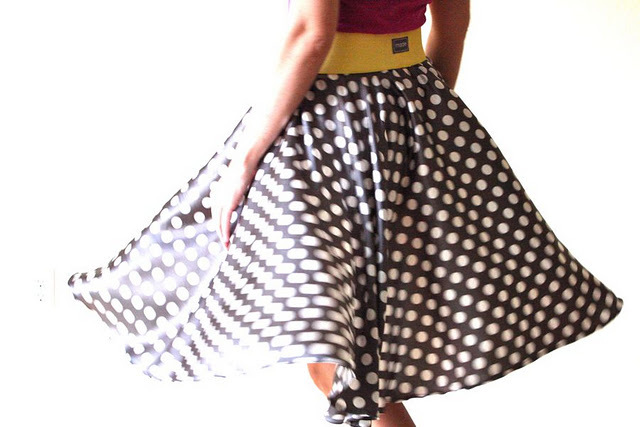 Definitely use the lightweight fabric like she suggests- it makes a huge difference in the look of your skirt. Follow the tutorial just as she says, but before you sew on your elastic, make and sew on the poodle and trim. I used this poodle pattern (scroll down to find it), but here's another one if you like it better. I actually copied the image onto a word document and enlarged it as big as a regular 8 1/2 by 11 piece of paper would allow me to do and then printed it. This may vary depending on whether you make the skirt for an adult or child. Pin the pattern to the contrasting cotton fabric and then cut it out. If you used cotton fabric for this step like I did, it'd be smart to use some kind of Fray-Stop (the spray or the gel) on the edges. 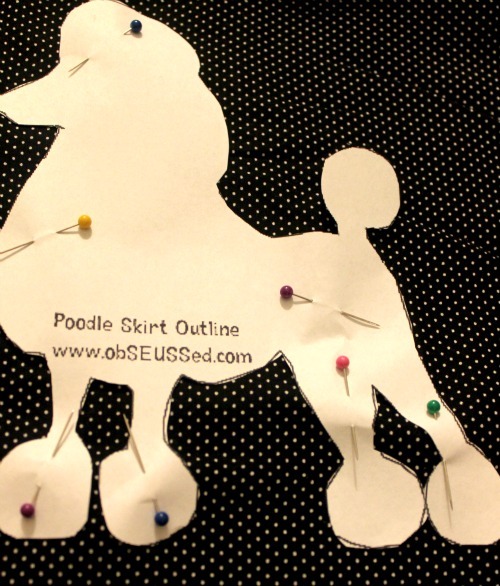 Pin the pattern to the fleece. 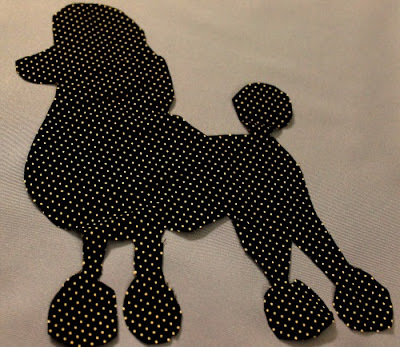 Don't worry about the legs or the tail for this part, just cut along the body and make the balls for the feet and the tail separately. 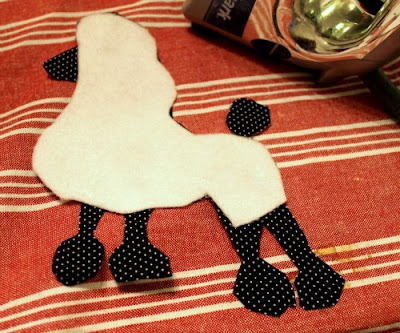 Lay your fleece over the cotton body of the poodle, making sure it's lined up on all sides. If you did not use fusible fleece, follow the directions on the Wonder Under. 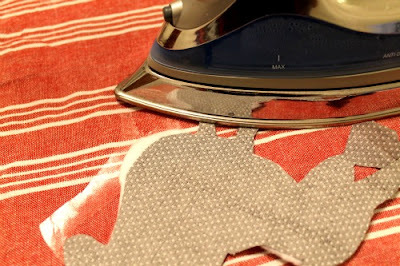 If you did use fusible fleece, flip it over and iron on top of the cotton side to get the fleece to stick. 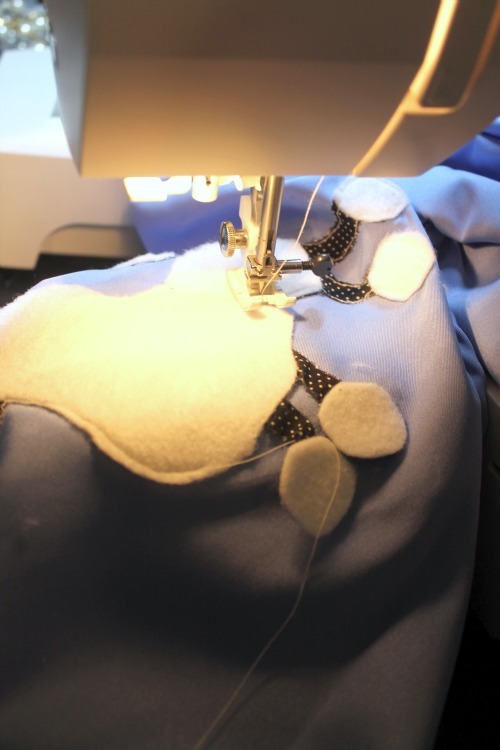 Be sure to line the fleece up carefully-especially on the balls for the paws and tail! Pin the poodle to the skirt and make sure it is in the place you want it by trying the skirt on or holding it up to you in a mirror. 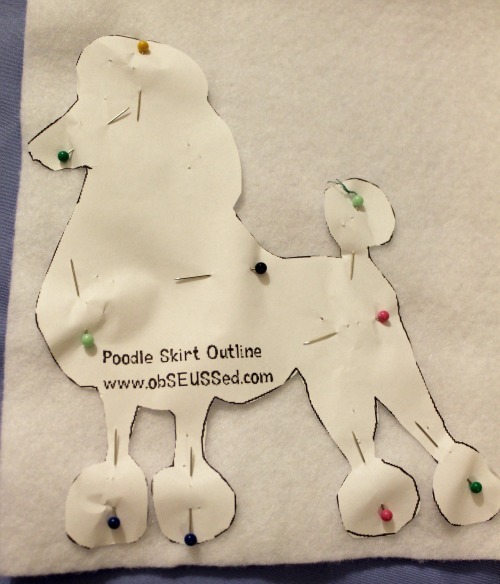 Use Wonder Under to adhere the poodle to the skirt. Then sew along the outside edge of the poodle (about 3/8 an inch). Careful around the curves of the circles!! 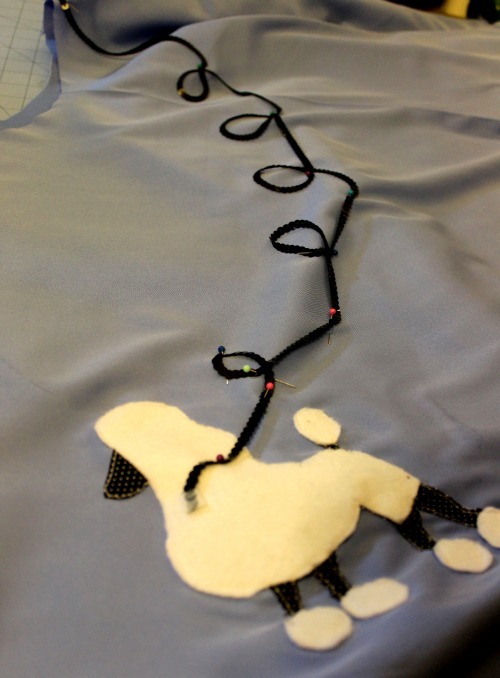 Once the poodle is sewn on, pin down whatever trim you're using. If you use sequin trim, please be smarter than I was and pin it in a way that allows you to sew along with the direction of the sequins. 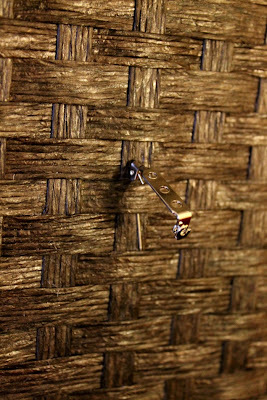 I sewed against the sequins and it created some puckering in the fabric along the leash and it was difficult to sew at times. When pinning the leash, pin it in a curly pattern as seen above. 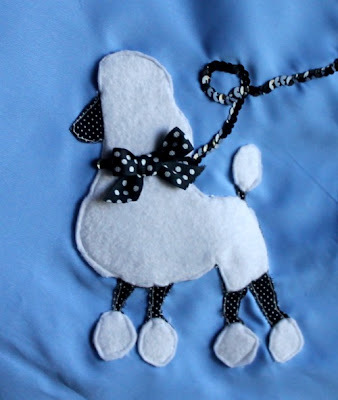 After it's all sewed on, tie the coordinating ribbon in a bow and tack it to the dog's "collar" with a few stitches (either hand-stitched or on the machine). Sew on the elastic just as Dana describes in her tutorial for the circle skirt and you're done! I hope you enjoyed the tutorial! I'd love to see your poodle skirt if you make one!